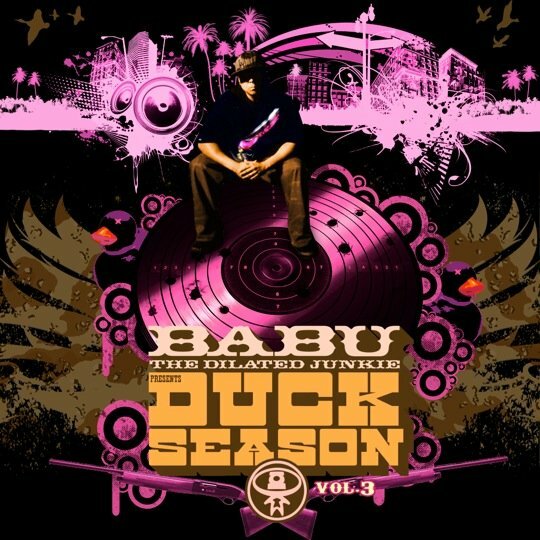 The original turntablist, DJ Babu steps up present Duck Season 3 scheduled for an October 28th release. Peep the track "My Opinion" featuring Bishop Lamont plus with a complete album tracklist. East West Connection f/ A.G.
It’s A New Day f/ M.E.D. man babu is 3 for 3……..mop, evidence, now this bishop track?! crazy! damn this track is hot! the sample is from the new zealand reggae band Fat Freddy’s Drop….the track is “Ernie” from their album ‘Based on a True Story’. Babu definitely knows good music he travels the globe for it! check out The Seed!! the last track, ahead of my tim f. niko… i know i heard that beat somewhere else and i cant figure out where it was? does anyone know the track that beat has previosly been used on?